Paula Stokes is the author of ten young adult novels that were released by imprints of Penguin Random House, HarperCollins, and Tor/Macmillan. Her contemporary online shaming story, THIS IS HOW IT HAPPENED, was a 2018 Oregon Book Award finalist, and several of her other novels have received starred reviews from journals like Kirkus and ALA Booklist. Paula works with writers at all levels and some of her pre-published clients have gone on to sign with agents and sell their debut novels. Clients describe her editing style as “straightforward and insightful” and she would add that she is thorough (yes, perhaps even nitpicky at times) without being snarky. She frequently compliments things she likes, but doesn’t often rewrite sentences so as not to dilute a work’s narrative voice. Paula gravitates toward commercial stories with complex characters and a compelling voice. She prefers books set wholly or partially in this world, including contemporary romances, mysteries, and thrillers, as well as light sci-fi and urban fantasies. Her favorite authors include Dean Koontz, Gillian Flynn, Libba Bray, Holly Black, Kendare Blake, Laini Taylor, and Victoria Scott. Paula is also a Master's level RN and will review just the medical elements of a manuscript upon request. Currently open to submissions worldwide. 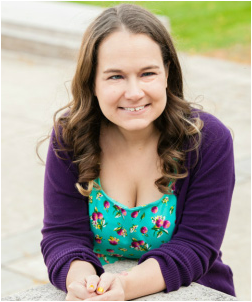 Jess is the author of the historical fantasy trilogy The Cahill Witch Chronicles (BORN WICKED, STAR CURSED, and SISTERS' FATE) and the contemporary novels WILD SWANS and THE LAST SUMMER OF THE GARRETT GIRLS. She is the editor of the feminist historical anthologies A TYRANNY OF PETTICOATS: 15 STORIES OF BELLES, BANK ROBBERS, & OTHER BADASS GIRLS and THE RADICAL ELEMENT: 12 STORIES OF DAREDEVILS, DEBUTANTES, & OTHER DAUNTLESS GIRLS and co-editor (with Tess Sharpe) of TOIL & TROUBLE: 15 TALES OF WOMEN & WITCHCRAFT. As such, she has edited New York Times bestsellers Marie Lu, Marissa Meyer, Elizabeth Wein, Mackenzi Lee, Beth Revis, Nova Ren Suma, Dhonielle Clayton, & Robin Talley, as well as award winners Meg Medina, Anna-Marie McLemore, and Brandy Colbert. Her critique style has been described as "incredibly insightful" and "a warm and encouraging hand." Jess will leave smiley-faces and hearts in your manuscript next to the things she loves - while asking questions to enhance your world-building, sharpen your characters, and heighten the stakes. Her focus is on historical, fantasy, and paranormal YA, but she also loves issue-driven contemporary. She especially loves stories about sisters, complicated female friendships, and magic. Some of her favorite authors are Kristin Cashore, Marie Rutkowski, Robin LaFevers, Sara Zarr, and Courtney Summers. 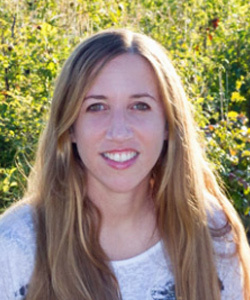 Emily Hainsworth is the author of THROUGH TO YOU, a romantic sci-fi thriller that sold in a two-book deal at auction to Balzer+Bray/HarperCollins, was optioned for film by Paramount Pictures, and went on to be published in ten territories outside the U.S. Through To You was an Indie Next List pick and received a starred review from VOYA magazine. Her second novel, TAKE THE FALL, is a thrilling contemporary murder mystery also available from Balzer+Bray/HarperCollins. Though she has a soft spot for mystery/thrillers, Emily enjoys reading and critiquing contemporary love stories, dystopias, horror novels, epic fantasy adventures, and pretty much everything in between. While she feels very much at home tackling dark, more difficult material, she’ll happily swoon over a nice, light romance any day. Her editing style has been called “sharp and insightful.” She pays consuming attention to detail, and while her feedback tends to be blunt, she’s always encouraging. She’s been praised for her keen sensitivity, allowing writers space to write the books they want to write. Some of her favorite authors are: Suzanne Collins, Ernest Cline, Brenna Yovanoff, Neal Schusterman, Stephen King, Libba Bray, Kristin Cashore, and Scott Westerfeld. 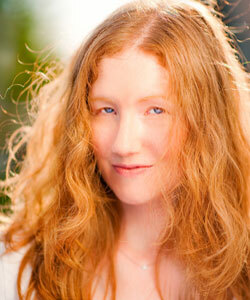 Tiffany Schmidt is the author of the BOOKISH BOYFRIENDS SERIES: A DATE WITH DARCY and THE BOY NEXT STORY. As well as stand-alone contemporaries, SEND ME A SIGN and BRIGHT BEFORE SUNRISE and the ONCE UPON A CRIME FAMILY duology: HOLD ME LIKE A BREATH and BREAK ME LIKE A PROMISE. 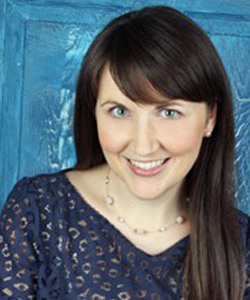 Her background as a former sixth grade teacher combined with her extensive work with teen writers allows her to provide feedback that has been called both “nurturing" and “full of tough love.” Her feedback style tends to be a mix of encouragement and praise for things that are working, as well as probing questions and redirection when plots and characters start to run amok. 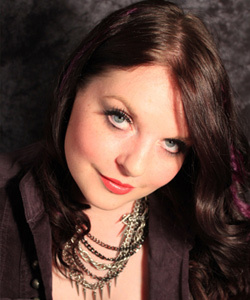 Tiffany has experience providing critiques for a range of writing abilities: from young writers looking for some guidance to New York Times bestsellers. While she’s critiqued everything from paranormal, to fantasy, to horror, thriller, contemporary and back, she’s happiest when working with character-driven novels of any genre (and happier still when those characters spend at least a little time kissing or making her swoon!— or fighting to the death… ). Tiffany’s reading tastes are equally eclectic. Some of her favorite authors are: Ally Carter, David Levithan, Stephanie Perkins, Holly Black, Libba Bray, Richelle Mead, and Claire Legrand. Elizabeth is the author of BLACK CITY (Penguin, 2012), PHOENIX (Penguin, 2013), and WINGS (Penguin, 2014). Her debut novel, BLACK CITY, was selected as one of Penguin’s Fall 2012 Breathless Reads and was nominated for MTV’s Favorite YA Novel of 2012. Prior to publication, the movie rights were snapped up by Screen Gems and the film is currently in development. Her critique group nicknamed her “The Red Pen of Doom” because of her ‘take no prisoners’ editing style. Her comments are honest but never harsh and she will often leave personal notes in the ms when she really loves something. Elizabeth enjoys commercial stories, especially if they feature paranormal creatures, aliens, dystopian worlds, explosions, and hot boys (preferably all of the above)! Her favorite authors include Suzanne Collins, Beth Revis, Veronica Roth, David Levithan, JK Rowling, and Anthony Horowitz.